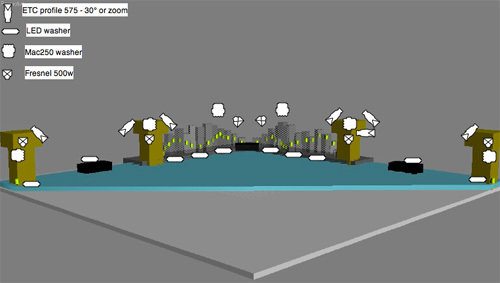 -Set/Stage design, Installation, Lighting design. around the iceskating and the watch-tower. 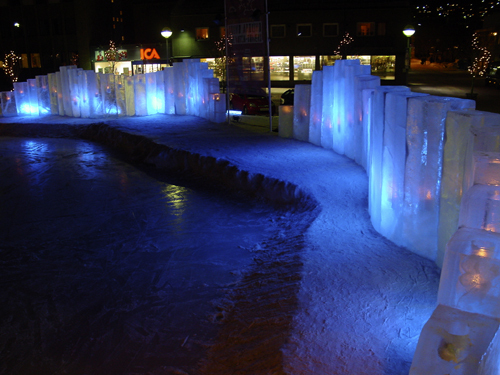 with variable height of iceblocks, from 1m to 2m50. therefore being part of the rest of lighting design i also directed. 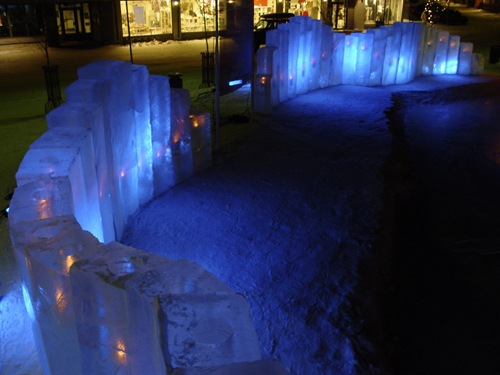 The Performance was on January 31st, on the town square, in Kirkenes, Norway. during Festival Barents Spektakel, organised by Pikene på Broen. mixing 2 projects within the same area. Curated and produced by Pikene på Broen. Opening of Spektakel exhibiton 2009 by the Minister of culture TROND GISKE. Short Video about the show Border, control or Rock'n roll. QT video, 33,3Mb - 13min32s. Short Video about the all Festival. QT video, 20,7Mb - 8min53s. Short video of the show, on youtube. Some News of the festival, on BarentsObserver online news. Some Images of the festival, on BarentsObserver online news. After the show, on day time. 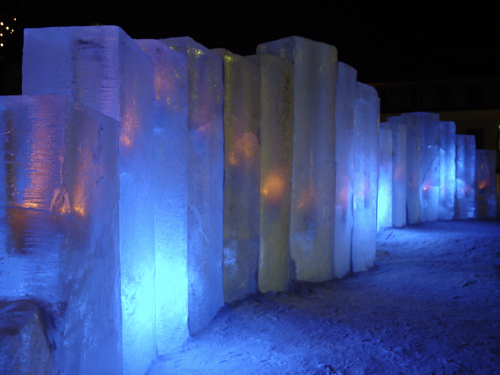 -Installation / Set Design / Stage by Eric Mutel for IceMusicFestival#4, in Geilo, Norway. 9th - 11th January 2009. Were also Performing on stage: Terje Isungset, Sidsel Walstad, Nils Økland, The St.Hallvard Choir, Sara Marielle Gaup, Lena Nymark, Helene Bøksle, Flukt group, Bright Night International. 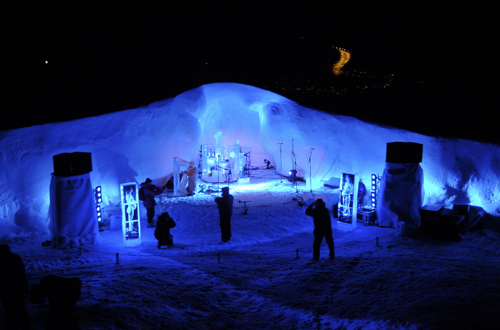 Stage made out of 1 cut igloo, 2 long walls of snow in a triangle shape & bumppy curved amphi for audience. and Bill Covitz ( icematters ) from USA carrying out most of the ice instrument making. Video in news online Hallingdølen. 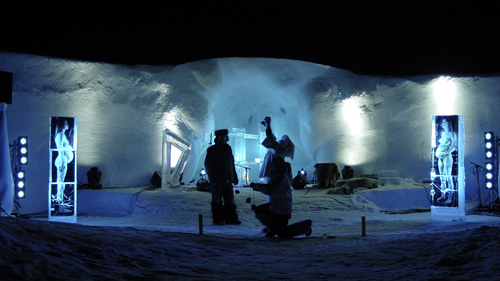 IceMusicFestival#4 Other images, by photographer Bjørn Furuseth.